If you’ve talked to Lisa or Elish recently, you’ve probably heard them meniton “the showhouse at Chestnut Hill.” This exciting project, of which Lisa is lead designer, is called Firefly Cottage at Willow Pond, and is located out in Madison County on Highway 463! The SummerHouse team has been working tirelessly picking out surfaces and materials, and has put countless hours into making this designer showhouse the best that our area has ever seen! She’s also got eight other designers working with her, a few of which are shown here! 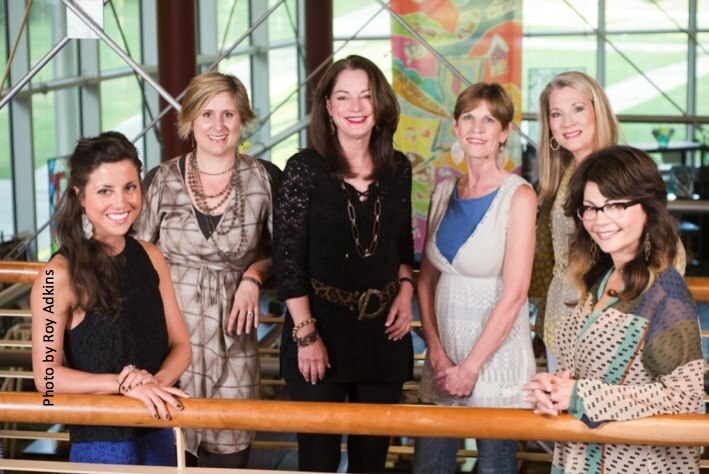 Show House Designers: (l-r) Elish Phares, Joan Hawkins, Annelle Primos, Patti Harriston, Ruth McMillin, and Lisa Palmer. Not pictured: Celia Barrett, Erik Kegler, Nancy Price and Pam Rogers. The proceeds of the show house benefit the Education Programs of the Craftsmen’s Guild of Mississippi and every room will feature handcrafted work by Guild Master Craftsmen. It should be nothing short of spectacular! Stay tuned for more posts about the show house as the date draws closer!